MLM Has a Spokesman Now. He’s Running for President! Donald Trump is getting a lot of attention these days as a Republican Party candidate for the highest office in the land, president of the United States. He has aroused anger for calling Mexican immigrants “rapists”, saying Vietnam vet, Senator John McCain, is not a war hero because he was “captured”, calling another Senator also running for President an “idiot” and mockingly implying that the governor of Texas is stupid. (wearing glasses only to appear smart) He is also famous for creating a “brand” based on flaunting wealth, demeaning those who are not wealthy, “firing” people, and making “deals” in which only his side wins. (sometimes by not paying his creditors). Millions of MLM followers enrolled in hundreds of other MLMs also now view Donald Trump as their true leader and spokesman, the ultimate endorser of the MLM “income plan.” Anyone who questions MLM now will be challenged with, “Are you saying Donald Trump is wrong or is lying about MLM?” Good question. As President of the USA, Donald Trump would guide and lead the country’s economic policies. So, what about ACN as a Donald Trump’s economic solution for struggling consumers? Virtually None of ACN’s Sales Reps Appears to Be Making Money! In Canada, ACN is required (no disclosure is required in the USA) to disclose the “average” income of its sales reps. The ACN Canadian website reports the average of only the “active” reps to be only about $9 a week. (It’s in almost unreadable, tiny print at the bottom of the page, as “Earnings Statement”) The reported “average” earning is far less than the $499 entry fee and associated costs of actively participating. Add in the “in-actives” to the average, factor potential “top weighting” (the largest share of the commission, per transaction, ultimately going, aggregately, to the upper levels of recruiters, skewing mean averages) and then subtract all business costs, and it appears that hardly anyone could possibly be making any money in ACN in Canada or the USA, except the insiders and those at the very top of the chain. ACN does not appear to be a good “deal” except for the company and its top recruiters, and of course for Donald Trump who is not a sales rep but got paid $450K in a year to say it’s a great income opportunity. Canada prosecuted ACN several years ago under rules governing multi-level marketing companies, but a judge stopped the prosecution, claiming – ironically – that the government had not given enough evidence that ACN was even a MLM company. Australian regulators also prosecuted ACN as a pyramid scheme and the court upheld the prosecution, but the ruling was later over-turned by a higher court by narrowly interpreting ACN’s pay plan against the weak law in that country. The state of Montana obtained hard data from ACN and concluded that virtually no one in that state was making a profit who had signed up as an ACN sales person. Montana filed suit against ACN sought fines and restitution, but the state’s insurance division officials dropped the case after being invited by ACN to the company’s headquarters. The state’s insurance commissioner resolved the case, saying the problem was with the people in Montana, not with ACN, that is, poorly trained or uninformed reps in Montana. ACN agreed to do more training to help the apparently uninformed or dishonest Montana reps.
ACN promoters have been touting the company for years as growing rapidly in revenue. Every year, consumers are exhorted to “get in now”. Yet, according to ACN’s past statements, the company had, apparently, not increased revenue or its customer base at all in six years! In 2006 ACN reported to the FTC that it had exactly the same number of customers, 1.5 million, as it told NBC-affiliate reporters in Charlotte, NC four years later in 2010. In 2012, local North Carolina officials where ACN is now headquartered reported the same total revenue figure for ACN of $500 million that ACN self-reported when it wrote to the FTC in 2006, six years earlier. But one figure did change between 2006 and 2010. 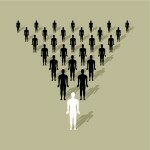 ACN had reportedly doubled the number of what it claims is the total of USA salespeople! In that time, the number of USA sales reps went from 50,000 to 100,000 according to ACN. Now, ACN self-reports that its revenue is $800 million and it now operates in 24 countries. No data are offered on USA revenue or total USA reps.
As for income of sales reps in the USA, only the $500 a year “average” is disclosed on the Canadian site that applies only to the “active” reps, not the total. Missing are average incomes per level on the sales chain, how much comes from $499 entry fee, percent of revenue coming directly out of the pockets of the sales reps themselves, number of customers per sales rep, average costs to be a sales rep or average tenure of the reps. There is no accounting also of how much income is from the USA versus 20+ other countries that ACN has moved into. All data is self-reported and unverified. Even while he was still hyping ACN, Trump bought a competitive MLM called Ideal Health and changed the name to Trump Network. See the beautiful presentation with Trump’s line of “health” products. It lasted only a short while and was dumped by Trump, some suspect because of the high fees paid to Trump for using his name. The scheme was acquired by one of the “top producers” and is now operating as “Bioceuticals”, still selling products that claim to slow or stop aging, non-FDA approved, of course.